While the finish on the Miura MG Hybrid is described as black, the overall look of the club is more like dark chocolate. My 56-degree Miura K Wedge has a new best friend that just took up residence on the opposite side of the bag. With its unusual and yet beautiful design, the K Wedge has quickly become my most versatile tool around the green, a scoring club from wet sand, thick rough or tight lies. And now, Miura Golf’s recently introduced MG Hybrid may well redefine the look, feel and even the sound of utility clubs. “I probably hit my 20 degree hybrid as far or maybe longer, but it definitely doesn’t produce the sound of pure feedback like this one,” says my buddy Terry Noyer – – who recently won the Marin Country Club’s net championship – – and who tested the MG. An almost indescribable resonance, the audible note is a firm and sharp click, like what comes from the sweet spot of a forged iron striking down on a quality golf ball. More important, while utilities are often considered clubs most useful for getting out of trouble or simply moving the ball somewhere up the fairway, the MG Hybrid is designed to look and play like a scoring iron, albeit from distance. 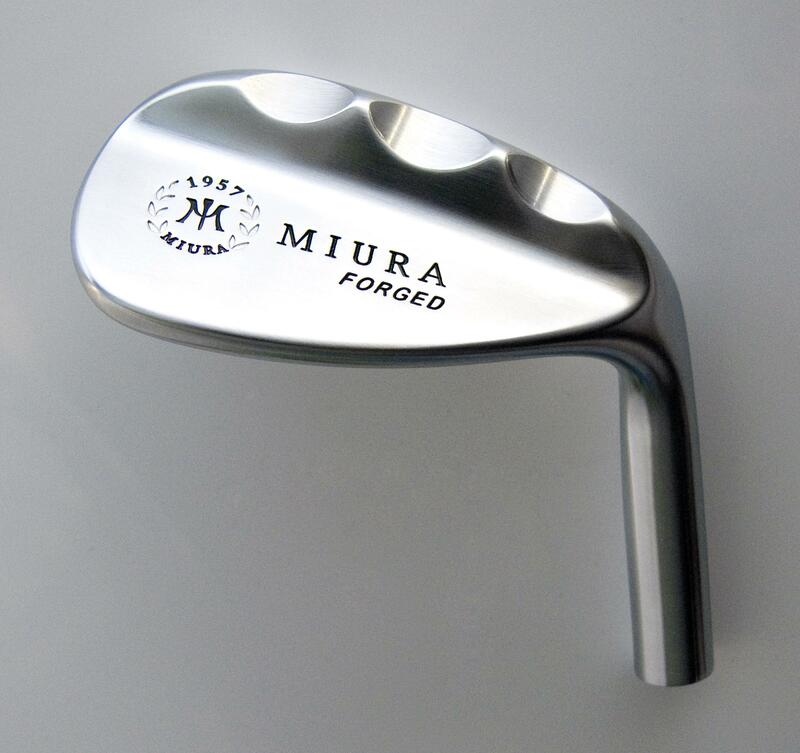 Available in lofts of 20 and 23 degrees, this hybrid projects the aesthetics that are typical of Miura products, especially evident in the forged muscle-backed irons for which the small Japanese company has been long known. The utility’s head has what the company describes as a I.P. Black finish, although the bronze-hued faceplate gives the club a chocolate-like appearance, somewhere closer to dark than milk. While as attractive as any of the so-called “workshop edition” utilities that Jesse Ortiz designed for Bobby Jones Golf, the MG Hybrid displays its serious nature after one good strike, send the ball out on a boring trajectory. Unlike most club manufacturers, Miura doesn’t release new models on a fixed business cycle time frame, but only when a new technology or design is developed to the point where it can clearly help golfers. The MG Hybrid came about from consumer feedback and the technical insights of the company’s founder, Katsuhiro Miura. Other than sinking a 30-foot putt, perhaps the best feeling in golf is launching a long-distance shot that lands softly on the green and stays there, and with the multi-purpose 20 degree MG, it is decided easier to do this than with a 3-iron. Here’s how the company describes the design of the clubhead: The MG Hybrid fo lows through smoothly after impact thanks to Miura Golf’s new Circle Cut method sole shape in which a line cuts through the club’s sole, creating a stepped tier on the sole and the optimal center of gravity to provide the optimal ball trajectory for a hybrid iron. It also is more about the blade’s height than the head volume. The blade height is almost the same size as the height of the ball at 43mm. Therefore, at address the MG’s face gives the golfer an impression similar to holding a much higher-lofted club, maybe even something as forgiving as a six iron. That induces confidence that seldom accompanies 200-yard shots into a well-bunkered green. Since the space between the ears is the longest hole on any course, anything that breeds concentration and a positive outlook is an edge in psychological design. And its why the MG has a friend in the K Wedge. The most unusual and distinctive feature of the 56 degree Miura K Wedge are the trio of fingerprint like indentations on its sole. Although the sound when the MG Hybrid makes contact with the ball is distinctive, a gentle and pleasing vibration instantly follows, transmitted up and through the Aerotech Sports SteelFiber SS 75 regular flex shaft that my club came with, which is well suited to a relatively slow swing speed. With a “high modulus” graphite core, an Aerotech shaft is then covered with more than 59 miles of steel fiber strands, each with a diameter of 8 microns, or approximately one tenth the diameter of a human hair. Available in three weights – – 65, 75 or 85 grams – – the SteelFiber wood shafts are perfect for hybrids and fairways woods, giving the player the control of a steel shaft and also the lighter weight and vibration-dampening properties of graphite. Such technology is why this Bellingham, Washington-based company is making inroads on the golf club shaft market. Founded in 1991, Aerotech was the first company to produce an NHL approved composite hockey stick. It then expanded into helmets, fishing rods, knee braces and among other products, violin bows. It also manufactured golf club shafts for several other companies including Cleveland, Adams and Lynx. Since launching its own branded shafts nearly a decade ago, Aerotech is proving itself as an innovator in making technologically advanced high-quality shafts. 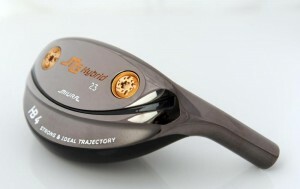 The new MG Hybrid carries a sug gested retail price of $299 for those with graphite shafts and $279 for one with a steel shaft, and can be tested by visiting www.miuragolf.com to locate the closest Miura dealer. To see a video of Adam Barr talking about the club, click here.